It has been 17 years since members of the Islamic terrorist group al-Qaeda boarded four civilian passenger planes in the United States on Sept. 11, 2001, hijacked each while in the air and attempted to crash them into key targets in a brutal, insidious act that had an immediate, costly effect on the entire world and still haunts us to this day. Two of the planes were purposely flown into the World Trade Center Twin Towers in New York City, eventually causing them both to collapse. The third was crashed into one side of the U.S. military’s Pentagon building in Washington, D.C. The fourth was being flown toward the White House when American citizens rushed the cockpit, thwarting the final suicide attack, but ending in the crash of the airliner into a Pennsylvania field. The attacks, masterminded by al-Qaeda leader Osama bin Laden, were so evil that it was hard for most to comprehend. How could human beings find life so worthless and empty that they would even consider carrying out these attacks, not only ending their own lives, but those of thousands of innocent people? Beyond the immediate loss of innocent lives, this hideous surprise attack against humanity caused years of emotional trauma and chaos in the world, sparking wars and insurgencies around the globe that still burn. Our own freedoms and liberties have been reduced. Security at major events was tightened and it has become a major effort to travel by airline to this day due to greatly enhanced security screening at all airports. California and San Diego were not left untouched. Many industries were affected and reduced. Federal laws protecting privacy were undone. The office of Homeland Security was born. Immigration became a bigger issue based on the perceived threat that terrorists can enter this country if harsher policies are not accepted and enforced; and if a wall is not built along our southern border. It can be said that all of these are a result of the attacks of Sept. 11, 2001. So, did al-Qaeda win? The United States, once a bastion of freedom, liberty and hope, especially for those escaping a poor and often dangerous life in their own homelands, has instead become a fortress to keep out the unfortunate from other lands. The very principles that helped build this country, fueling ingenuity and feeding on the strength diversity brings to a strong country, have been replaced by resentment and an upward swing in racism, not acceptance. The United States does not offer the welcoming hand to those from other countries in the same way it once did; not in the same manner it did to help make this the greatest nation on earth. Say what you want about the condition of the United States today. Say what you want about immigration policies. Say what you want about the president. But don’t let those attacks 17 years ago succeed in tearing this country apart. 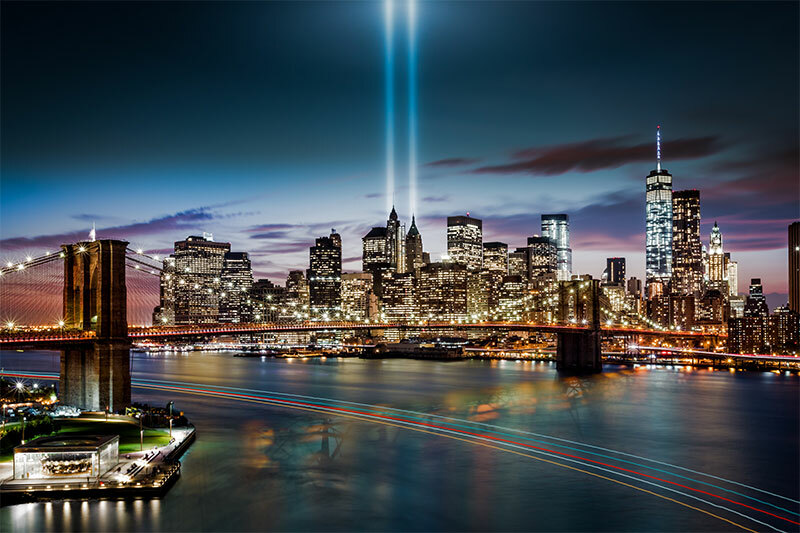 Never, ever, forget that day and the innocent victims of those attacks or those who have since lost their lives as a result of those attacks, or the people who have perished routing out terrorists throughout the world.